How should one grade Trump’s export reform policy? WASHINGTON — An increase in defense exports will be key for judging the effectiveness of President Donald Trump’s efforts to make the arms sales process more efficient, but that shouldn’t be the only measure of success, said a panel of U.S. government officials, arms control advocates and industry on Aug. 8. Last month, the president signed off on an implementation plan for the new Conventional Arms Transfer policy, which is aimed at cutting down the red tape associated with the foreign military sales process. To do that, the U.S. government must move to a more proactive posture, working with Congress and industry to make sure that its export processes are as efficient as possible, said Amb. Tina Kaidanow, the State Department’s acting assistant secretary of state for political-military affairs, said at the Center for Strategic and International Studies. The U.S. State Department is rolling out its plan to implement President Trump’s weapons export push. “What all this really ultimately means and what the imitative makes clear is that under this administration, there will be no more active advocate for U.S. sales than the U.S. government itself,” she said. 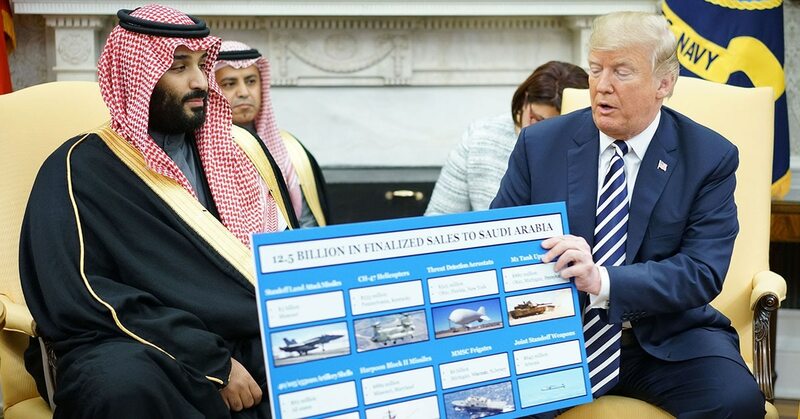 One of the most important metrics, and one that Trump himself will be watching, is whether arms sales continue to grow, said Alex Gray, special assistant to the president for the defense industrial base at the White House Office of Trade and Manufacturing Policy. The president may be able to claim a short term victory this year, as the United States is poised to beat its record for government-to-government arms sales. Lt. Gen. Charles Hooper, head of the Defense Security Cooperation Agency, told Defense News in July. He said that the the U.S. has signed $46.9 billion worth of sales in the first half of fiscal year 2018 — putting it near FY2015’s record of $47 billion. In FY17, the State Department approved $41.9 billion in sales. Others on the panel said the measure of success needs to be more nuanced than simply looking at the sales statistics. While boosting the number and value of FMS cases is crucial, the State and Defense departments see that as secondary in importance is making sure that U.S. allies and partners have the technologies they need to be interoperable with the United States, said Laura Cressey, the State Department’s deputy director for regional security and arms transfers. Cressey also repeated at multiple points during the panel that the State Department wants to continue engaging with industry and other stakeholders to ensure it is making progress. Last week, for example, was the first meeting of an interagency working group looking at offset policies around the globe. It’s hard to judge whether an new export policy is successful after just a couple months, said Jeff Abramson, a senior fellow at the Arms Control Association. But it’s important to evaluate the right metrics, and that should include looking at how foreign nations are using those new weapons and whether U.S. efforts to decrease civilian casualties — for instance — are working. Abramson argued that the current administration may be over-prioritizing the economic benefits of selling American-made weapons at the expense of human rights considerations. Dak Hardwick, assistant vice president for international affairs at the Aerospace Industries Association, ultimately took an optimistic view of the new arms transfer policies. “Where does all of this lead, ultimately? This is a very competitive market,” he said. Foreign countries are looking to take market share away from American companies, but they’re also trying to decrease American influence.